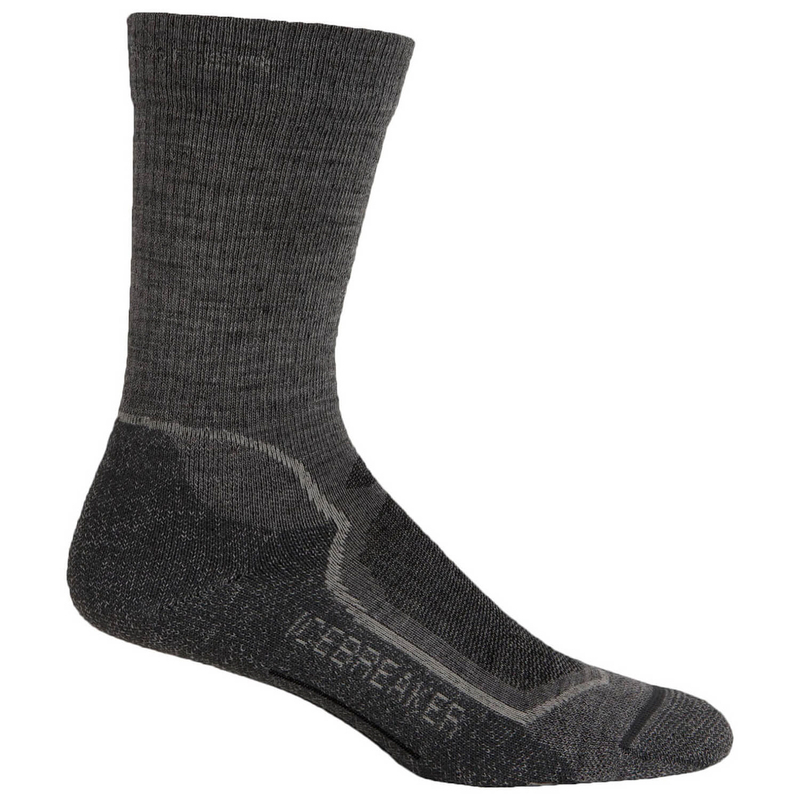 Feather-light comfort: the Hike + Lite Crew Socks by Icebreaker. 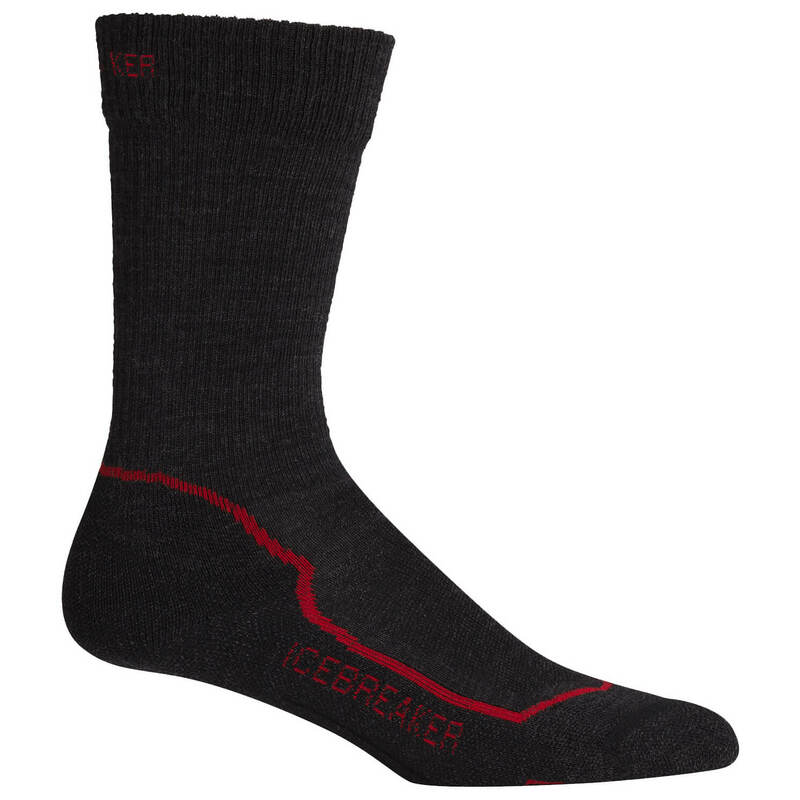 A comfortable fit and functional extras make these socks ideal for trekking and hiking in all weather conditions. A high proportion of Merino wool has the advantages that the socks dry quickly, don't pick up odor and are moisture proof and temperature-regulating. Additional stretch elements provide a very good fit. A toe box protects the toes and cushions them comfortably. A good fit is also ensured with inserts on the Achilles heel, ankle and midfoot. The toe seam lies flat and is slightly removed so that a formation of blisters is avoided. 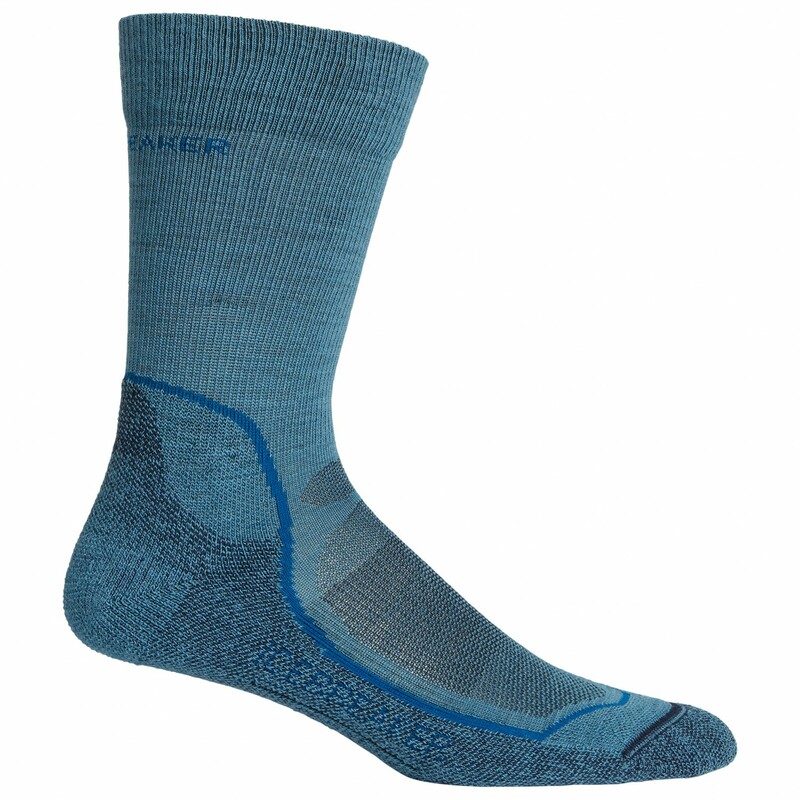 The Hike + Lite Crew Socks provide a great foot climate and a comfortable feel - even after hours of use.